For a number of years, Elizabeth and I profitably used the One Year Bible for our daily readings, and yet sensed something missing. Over the past couple of years, we’ve structured a reading program for those who are desirious of following God in a context that holds more closely to the Hebrew calendar,but still live in a culture which uses the Gregorian dating system based upon a solar calendar. While the Jewish community reads a daily portion from the Torah, aka the Pentateuch, or first five books of the Scriptures, their readings skip much of the Tanakh, or the Old Testament writings, although they read many Psalms each day. We were surprised to see that entire chapters were skipped over, e.g., Isaiah 53. So what we’ve done, and it is still a work in progress mind you, is we’ve taken the Daily Torah readings that commence in One Year Bible on January 1 and started them on Roshashanah, or the Jewish New Year. In this way, we read the same Word as the Jewish community and yet take it deeper by also reading through the Prophets and Writings in a systematic manner. You’ll read the Psalms twice in a year and the Daily Psalm each day. You’ll also read meditatively through the Proverbs in one year. We’ve also attempted not to break up a chapter into pieces whenever possible in order that one grasp that chapter’s entire meaning. 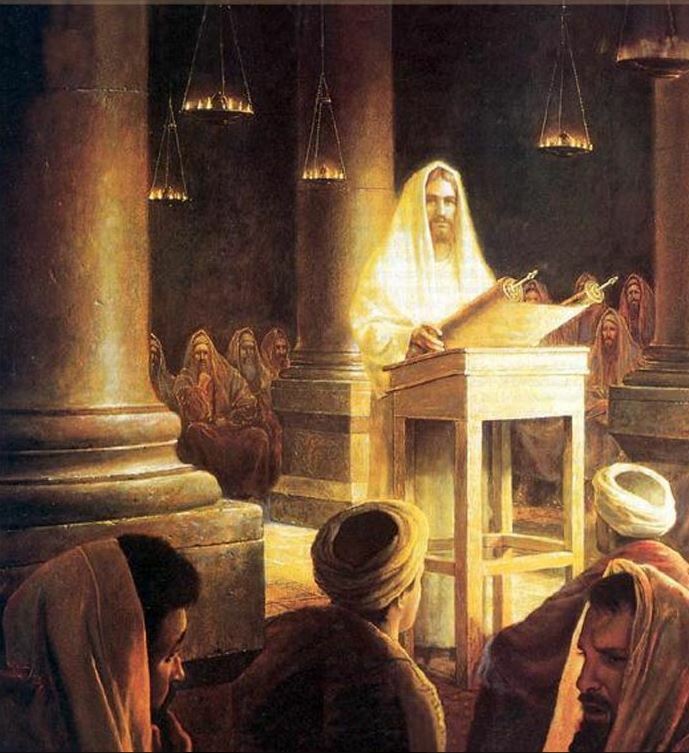 However, we’ve not broken with the weekly Torah portion reading that has been handed down since the time of Jesus who read the Torah portion out of Isaiah 61:1,2 on Shabbat (Sabbath) in Luke 4:16-21 (KJV). This entry was posted in Uncategorized and tagged Hebrew for Christians, Hebrew Roots, Isaiah 53, Jesus, Jewish Orthodox, Luke, One Year Bible, Passover, Pentateuch, proverbs, Psalms, Rosh Chodesh, Roshashanah, Sabbath, Scriptures., Shabbat, Tanakh, Torah, Yeshua. Bookmark the permalink.